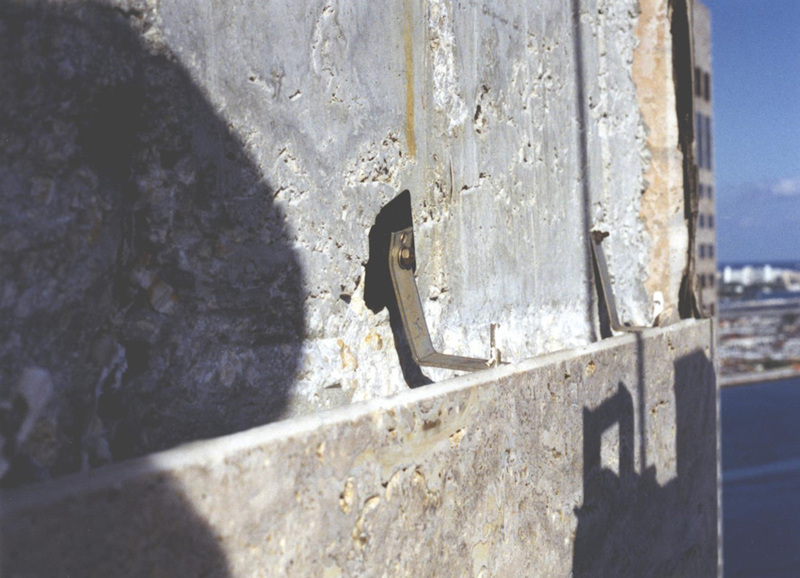 Discuss the main external forces that affect natural stone cladding, and explain why anchorage systems are needed to create a durable installation. 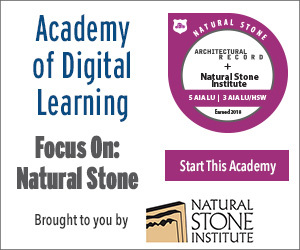 Describe the three elements of a natural stone anchorage system that ensure a safe and long-lasting exterior cladding installation and that can support sustainable building practices. List the various types of natural stone anchorage systems available. Explain the importance of proper fill used around the anchorage embedments to ensure a durable and sustainable exterior cladding system. Bent stainless plates are ideal for projects where corrosion may weaken the anchorage system. 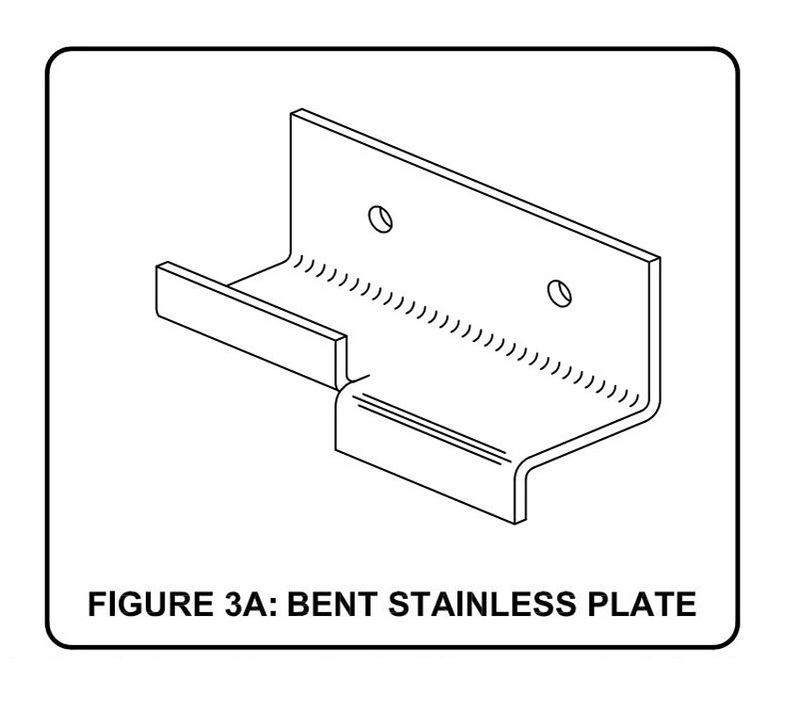 A variation on the bent stainless steel plate is a welded plate. Some projects call for high corrosion resistance, and in such cases, bent stainless plate anchors combined with stainless steel shelf angles can be a good choice. 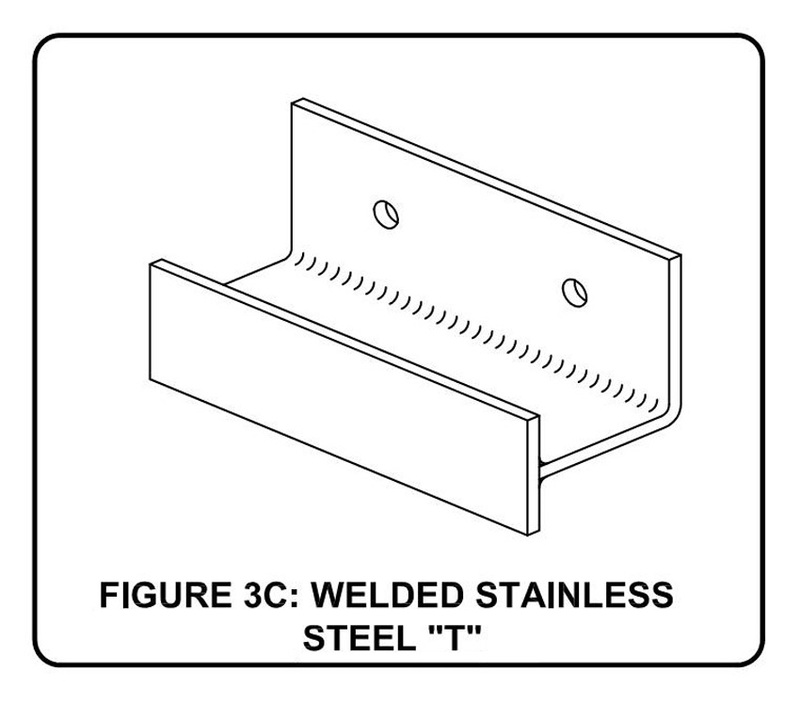 These anchors, also known as “welded stainless steel Ts,” are usually designed so that the stainless section is a bent plate, and the lateral load is carried via welded tabs located at the end of the plate or by separate strips of stainless steel welded to the end of the plate. An advantage to using the welded steel option is that a thinner piece of metal can be used for this portion, which allows for a smaller preparation into the stone, leaving more of the natural stone intact. Additionally, there is an increased length of engagement with stone, which is usually the weak link of the anchorage system. As with clip angles, bent stainless plate anchors may also benefit from rebates being cut into the bottom edge of the stone panel and affixed with the stainless steel anchors. This method allows full movement capability of the joint since the anchor is not occupying any space in the joint. Aluminum extrusions are most commonly used to help restrain gravity and lateral loads and are available in either short sections or as a continuous section. The different section lengths provide different challenges and are more appropriate for different purposes. For example, a continuous section length requires that the connections of the aluminum to the structure be carefully analyzed to minimize deformation between the connection points. If excessive deflection occurs, the anchor will only hold near the connection point and not along the rest of the span. 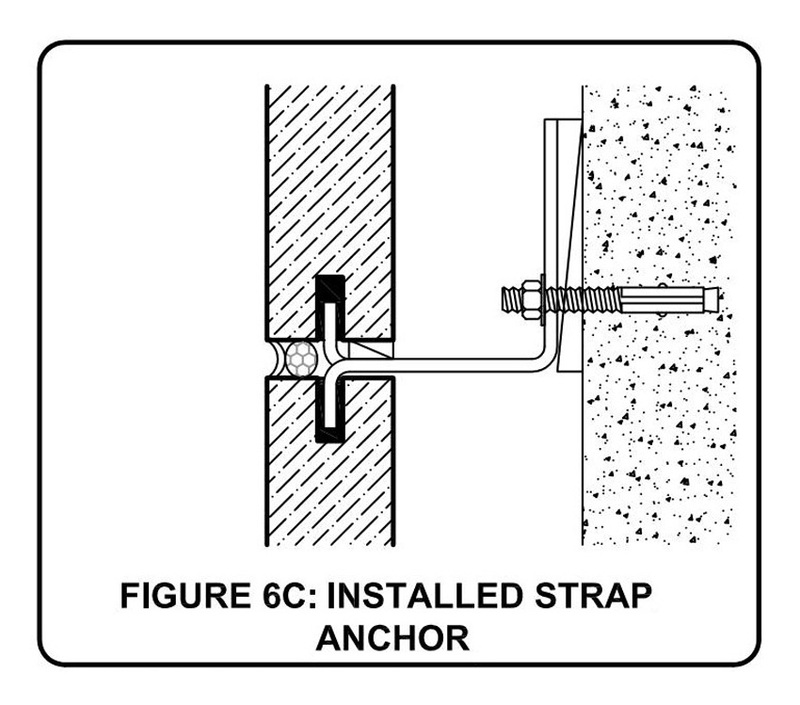 Strap anchors are flat metal bars that are designed to be inserted into a kerf (slot) in the edge of the stone panel. Pictured is an example of an anchor failing due to the bolt placement too far from the bend. Strap anchors are flat metal bars that are designed to be inserted into a kerf (slot) in the edge of the stone panel. The anchor transfers the load from the stone to the wall and must be strong enough to hold the load without losing its form. The anchor can also bend under negative lateral loads if the hole and the bend are too far; this is one of the most common misapplications of the strap anchor. Plug anchors include two components: a threaded rod is screwed into a tapped plug that has been inserted into a round hole in the stone. This anchor type is not often used because there are less-expensive options available; however, it works very well with softer stone types, such as sandstone, in cubic thickness (greater or equal to 3 inches, or 75 millimeters). With softer stone, plug anchors are known to be significantly stronger than other types of back anchors.